Food courts can be a nightmare to navigate when you've got a bunch of hungry kids. 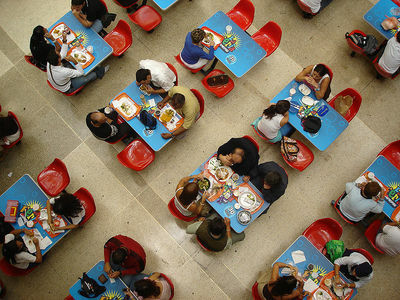 Do you have a favourite place to eat in a food court, or do you avoid them altogether? Do you stick to fast food when you're feeding the family, or does everyone have their pick of their favourites? We love to stop by Menchie's (which I already wrote about), but food courts are great because you can even satisfy the fussy eaters. Subway is a popular spot with our family.